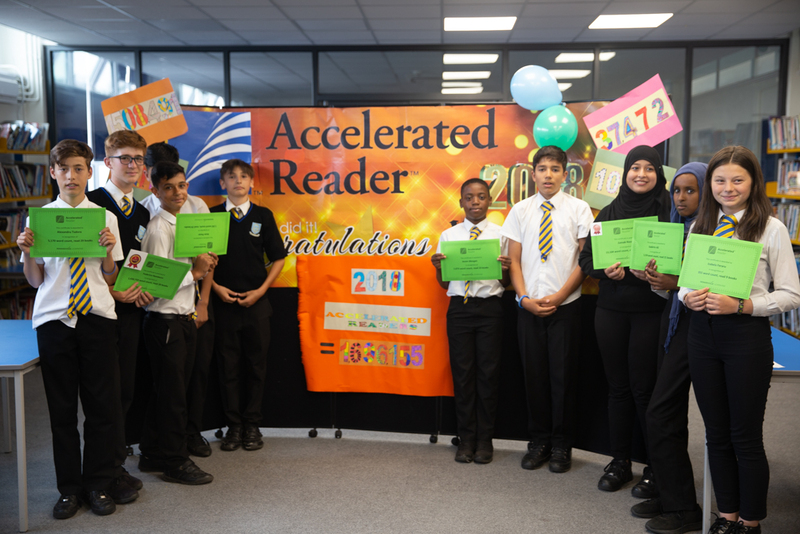 On Wednesday 18th July, a group of forty Year 8 Accelerated Readers (AR) were invited to their Awards Ceremony to celebrate their fantastic achievement in reading. Collectively, during this academic year, our students have read 1 696 155 words and they have passed 330 quizzes. Also, according to the student voice survey, they have developed a real passion for reading and they feel more confident about their reading skills. Well done to all AR students!!!! A big thank you to Marcia Vernon and Tracey Fidalgo for running and supporting inspiring reading sessions and all members of staff who have assisted us during this academic year. These scores will be put together with their interform scores to determine our best sporting form group in each year, a trophy will be presented to each winning form during the first week back in September. Year 13 received their awards for excellence in lessons and engagement in the wider life of the School. Staff, governors and parents attended the event on Monday 02 July. Many thanks to Miss Hollingworth and Mrs Cox for their work getting the evening together as well as Erik for the video highlights. It was the perfect way for some of the KHS teacher to cool down during the heatwave! Year 8 students organised the ‘Soak the teacher’ event, as part of one of their many charity events they were holding this year. Thank you to all the teachers that volunteered to take part. 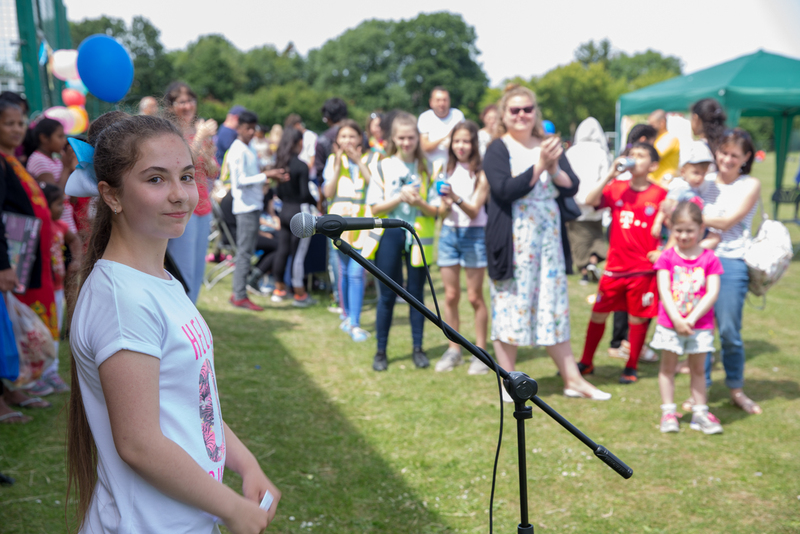 KHS Friends Association held their first Summer Fayre for many years at the Lower School… it was a well attended event, with many students, families and staff members helping out on the day to set up, run stalls and clear up. Parents/families arrived with delicious international food and drink to sell, students made a huge effort in making wonderful friendship bracelets, offering facepainting and baked cakes/biscuits to sell on the day – well done to all for their amazing efforts and support. The Tombola stall was particularly popular on the day! thanks to Teresa Keating for running this stall and to the Holy Innocents Church, Kingsbury for lending us their Tombola Drum again. 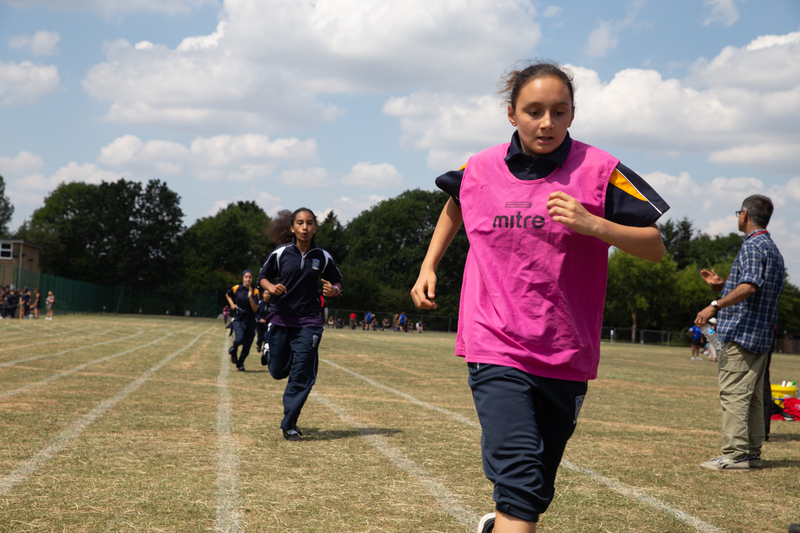 Mayfair Sports, Pro Soccer Coaching, Kleen Canteen Water Bottles, Explore Learning, Andreea from Glamsee and the Pied Piper Newsagent (Kingsbury). Asda Wembley have also offered raffle prizes for the next KHS event! On the day, a 5 a-side football league tournament was also brilliantly run by local club Harrow Stars FC who reported that the standard on show was very good and everyone played in the spirit. The U7’s tournament was won by Wikanda Forever, who remained unbeaten throughout the whole tournament playing 6, winning 5 and drawing 1, a special mention to Kayden DaSilva who we selected as the standout player in the U7 category. The mixed age group category was won by Insert Name FC, they also remained unbeaten throughout the tournament, playing 6, winning 6, a special mention for Richardo Rus who we selected as the standout player in the mixed age group category. Top scorer over over both age groups was won by Denis from Insert Name FC who managed to bag himself 13 goals over the course of the day and walk away with the top goal scorer trophy. The event raised nearly £700 in total – a great achievement! As well as raising funds for the school, these events are also about bringing communities together and building relationships with families and local communities. 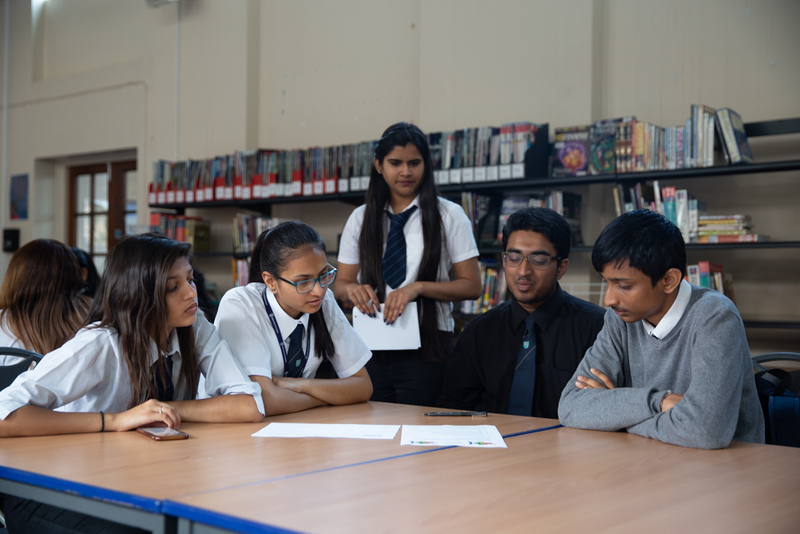 The Sixth Form’s clear focus this half-term has been on preparing students for UCAS, apprenticeships and careers beyond Kingsbury High School. We have sought to engage parents during our Higher Education Evening and offered students a week of activities and opportunities to find out more and develop their skills. At the Higher Education Evening, parents and students received presentations on UCAS and degree apprenticeships, and received tips from last year’s Head Boy and Girl, before entering an information fair with stalls from a range of universities (e.g. Goldsmith’s, SOAS, Roehampton, City, Brunel, Leicester) and with stalls highlighting areas of support in the Sixth Form (e.g. on student finance, welfare issues, for Oxbridge applicants, for Medicine applicants, and on personal statements). During our UCAS/Apprenticeships Week, we gave the students an opportunity to start their online UCAS application forms, took them to three universities (Queen Mary, Imperial College and Hertfordshire), set them a team challenge and had a varied and interesting Employability Day. The Employability Day gave every student the chance to test their leadership skills (provided by Montium), develop confidence for interviews, work through assessment centre activities and engage with a panel comprising of Pathways CTM (an organisation which offers insight days for a range of companies), Capgemini degree apprentices, and former students talking about banking and the construction industry. Thank you to our alumni, universities and organisations for contributing to a stimulating, enriching and hopefully inspiring set of experiences for our current Sixth Form students. 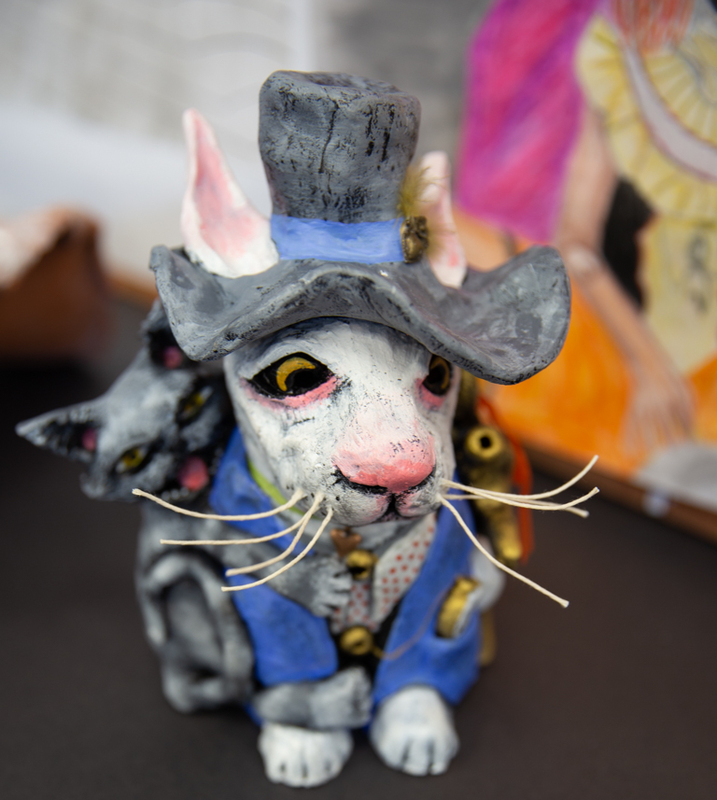 A highlight of each year as an art teacher is the annual exhibition. Now housed in TOLC the exhibition showcases work from GCSE, BTEC and A-Level students. It is a chance for students, teachers and invited guests to see the results of the hundreds of hours of observation, recording, development and creative thinking our young artists engage in; many of whom go on to study on art courses at university prior to entering careers in the creative industries – one of the UK’s largest employers. This year the show boasted a breadth of work that was diverse in both form and concept. From Ashfa’s architectural paper pyramids that evoke a world of both the far off future and the distant past, to Heeba’s feminist reinterpretations of the religious iconography of the renaissance, the work on display reflects the range of intellectual, cultural and political perspectives that our uniquely composed community hold. Whereas the free ice-cream may have been the motivation for the crowd of year 7 and 8 students who flocked the library at 3:30pm on Wednesday afternoon, it was the magic of the artwork on display that informed their conversations in the space and beyond it. For the parents, senior citizens and the students who came to see their own work on display this event was a celebration of the effort, rigour, risk-taking and confidence that was evident in every piece. Kingsbury High School has a proud history of inspiring and developing successful artists, designers, musicians and performers. 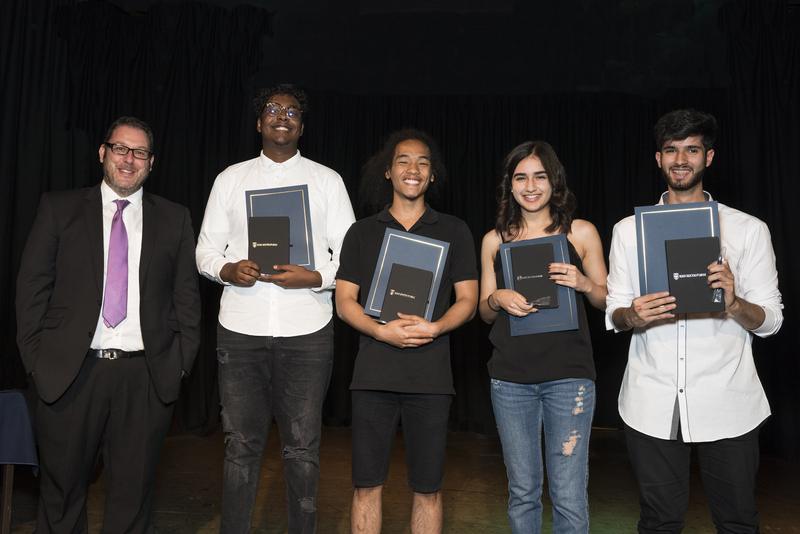 Whether our graduates continue with a path into the arts or not, the learning that underpins such great success in these subjects provides our leavers with a skill set that is transferable and applicable in any area of their professional or personal lives, and long may it continue.